Now that Microsoft Tech Ed 2010 Australia is a done deal I’ve been lucky enough to be joined on another Need to Know podcast by Wayne Small to give us a round up of everything at the event. Stay tuned for more episodes coming soon. I’ve just created my first podcast which I have christened as the ‘Need to know’ podcast series. It will focus on technology and business for the IT Professional, especially those in Small to Medium Business. A big thanks to Susan for giving me some of her time to chat, it is most appreciated. and I’d love to hear what you think about it, what’s good, what’s bad and how it can be improved. Feel free to send it to me via director@ciaops.com or www.ciaops.com/contact. I’ve got a few people lined up in the next few weeks to discuss further topics of interest so please stay tune to this blog for when these will be available. Now I could be wrong on this but I get the feeling that things are going to get far worse before they get better. I’ve felt like that for a while now and my gut tells me that we maybe approaching the beginning of a further significant drop. <img alt="" src="http://lh4.ggpht.com/-pAt9EXwj7sE/UPs868fFtuI/AAAAAAAAHnk/AXiCXq-fFFw/video5478d61f8f79%25255B4%25255D.jpg?imgmax=800" galleryimg="no" onload="var downlevelDiv = document.getElementById('ebb97f5b-b047-4b8a-bf3e-7d787e7c0e4d'); downlevelDiv.innerHTML = "
What worries me is that we have created a ‘stimulus bubble’ without really changing people’s habits. I also feel that many governments have wasted tax payer dollars bailing out those that have done the wrong thing. Tell me, when is it a good thing cover the losses of someone who is reckless with money? Never I say. I can’t give you anything definitive but I see many more businesses struggling and going under. I see unemployment rising and when people lose their jobs that is never a good sign. I am concerned that we are approaching a traditionally bad time for the markets (October) and that may spook investors. I’ve just got this feeling. Now, I certainly hope that I’m wrong but if you look at the numbers and the amount of debt and the further amount of debt that is being thrown ineffectually at the problem, like I said I’m worried. I’ve just finished reading a book called Delivering Happiness which is all about Zappos. Now I’ve know vaguely about Zappos for a while after seeing it in many business magazines that I read. That’s why I went out and bought the book to learn more about why this business is rated so highly. I have to admit that when I started reading the book I wasn’t all that impressed. It was really just a story monologue about the CEO Tony Hsieh and his life story. In summary, it details how he made his money selling Linkexchange to Microsoft and then almost losing it again trying to get Zappos established. Yeah, yeah I thought, one of lucky few that actually saw a business survive a near death experience. So what? I think that it was only after finishing the book and doing some further research in Zappos that I really began to understand what is so unique about this company. Here’s a video that gives you some insight. <img src="http://lh5.ggpht.com/-Obet1LBR_5U/UPs8iPb9iYI/AAAAAAAAHnc/GHeDGy7iHqQ/videocf7204fab135%25255B4%25255D.jpg?imgmax=800" style="border-style: none" galleryimg="no" onload="var downlevelDiv = document.getElementById('8f4d0663-2d5c-4ec4-94f2-00cb4e53bccc'); downlevelDiv.innerHTML = "
It is only upon reflection that many of the concepts in the book begin to sink in. Some of the practices that Zappos have in regards to customer service certainly seem overly generous (like paying for shipping both ways and return goods up to 12 months, no questions, after purchase). However, when you consider that they do little other ‘traditional’ marketing it begins to make sense. It is one of those cases where you’d think that any business that would do these sort of things is crazy but Zappos do and they work! Any smart business person knows there is a lesson there somewhere. Probably the most impressive thing I have learn about Zappos is their focus on creating the best corporate culture. They are creating somewhere that people actually want to work and enjoy what they do in every aspect. That is pretty unique these days and I think many business could take a leaf out of the Zappos handbook. I became intrigued with this concept many years ago when I first read In Search of Excellence and my interest is once again piqued. I would say the book Delivering Happiness is only a starting point for learning about Zappos. I think that if you spend some time examining and thinking about what this business does differently you’ll see something special and something that is certainly worth emulating. I’m guessing that many business people will disregard Zappos but the more I think about it the more I reckon they’re onto something special. 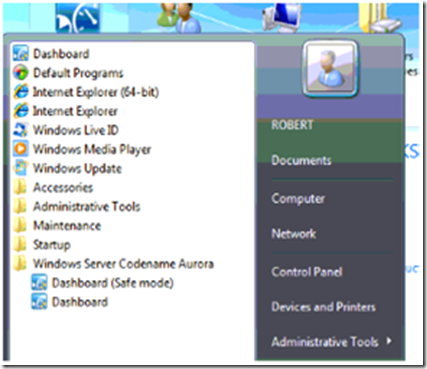 Given that SBS Aurora doesn’t include Exchange or SharePoint the first question I had was, could you actually install SharePoint Foundation 2010 on SBS Aurora? The reason for my questions is that, at this point, SharePoint 2010 is not available in BPOS (it will be soon). 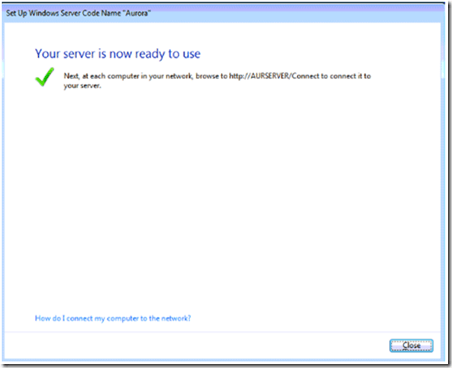 So what if you were busting for SharePoint 2010 on SBS Aurora? 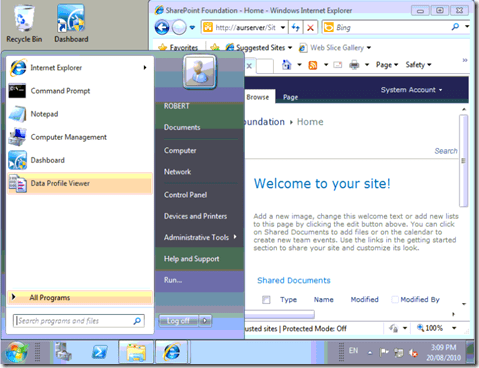 The good news is that in my testing you can install SharePoint Foundation 2010 just like normal. 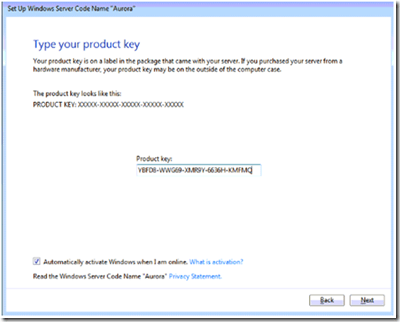 You firstly need to make sure a version of SQL is installed on the server. I used SQL Express 2008 R2 (which has a 10GB limit). I then installed SharePoint Foundation 2010. The files copied across as expected. 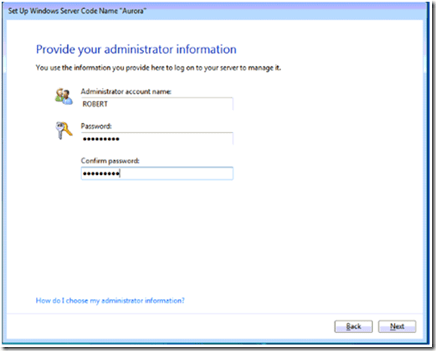 You have to create a new farm and connect to the SQL database you have already installed but that is straight forward. 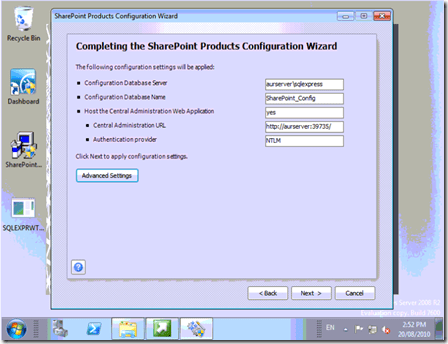 Next the SharePoint Configuration wizard runs. 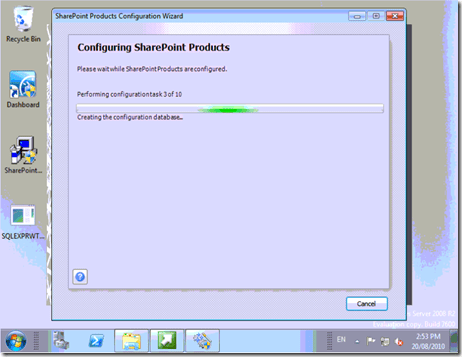 You then run the setup wizard and bingo you have SharePoint Foundation 2010 running on SBS Aurora. 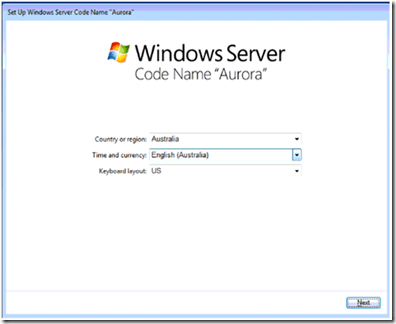 Now that SBS Aurora beta is out thought I’d take you through an install. Yep use the only disk in the system and blow it away. Hmmm..looks a lot like stuff I’ve seen before, i.e. 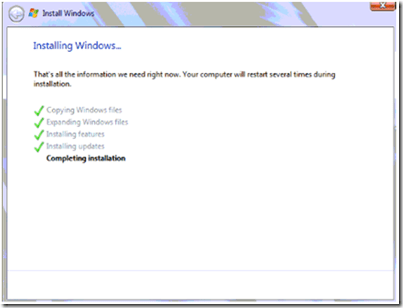 copying, expanding, installing etc. 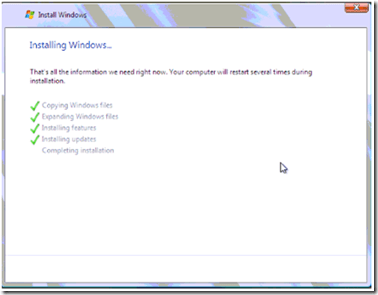 Would be nice if the completing installation gave you a percentage complete like the previous components did. My initially install got hung up and I reset here and it didn’t like that at all. Maybe it was because my SBS 2008 machine was also running. So I shut down the SBS 2008 box and started again. I live on this big island the South Pacific called Australia where we speak the English (Australian) dialect but we still use US keyboards. I don’t understand but it does work (generally). Sure I read it all before I accepted it (honest, cross my heart). How do they come up with these keys? Surely they must have run out by now? 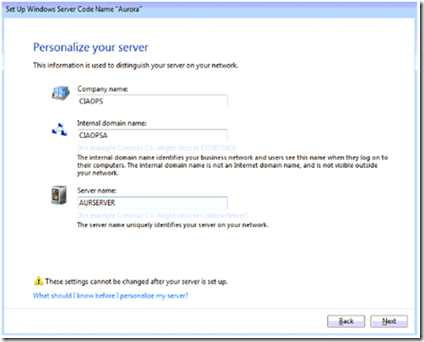 Not very original here but make sure you don’t duplicate something that already existing on your network! Need a complex password as usual. I’m getting good at these now. Hmmm…I think pressing the BIG green icon at the top is best. More waiting. I wonder what it is doing? I wish I knew. Needed a reboot, so it did it all by itself. How grown up! 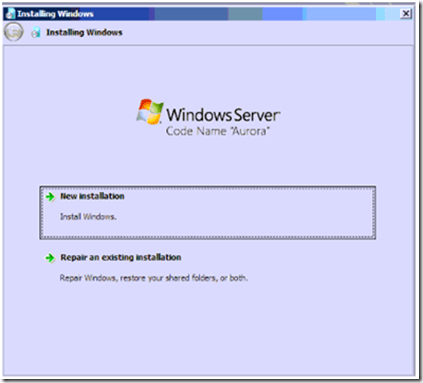 Still preparing my server. Maybe I should have called the machine MasterChef? 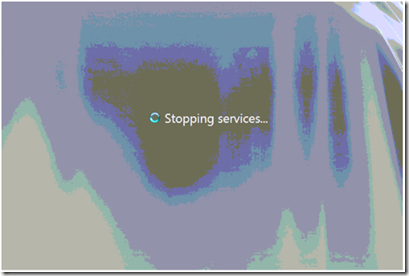 More ‘Please wait’ screens. I don’t know how much more of this I can take. Please tell what you are doing, I’m a big boy. I can handle it. Ahhhhhh…green tick, must be all good now. And here’s the desktop, not surprisingly it looks like Windows 7. Here’s the dashboard. Plenty to click to keep me busy for the next few days. Not much in the start menu anymore. 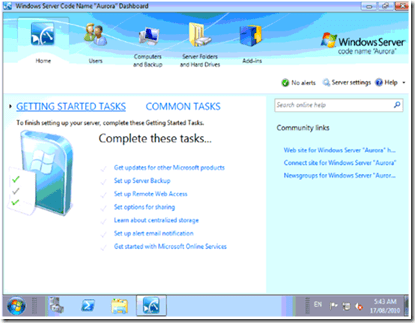 But still plenty in the Administrative tools. Still opportunity for mischief. Yeah! Now how do I connect this sucker to the cloud? More updates soon. Basically saying that Microsoft said it wouldn’t. that is certainly seems to install without an issue. 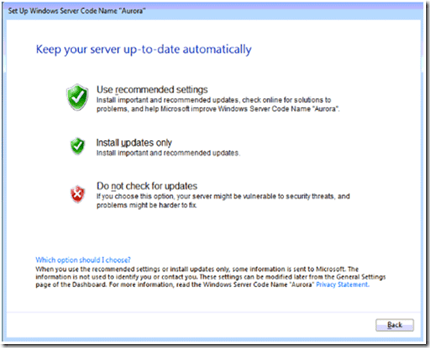 You do initially have to make sure that you remove the SQL 2005 Express Management Studio but after that everything works exactly as expected. 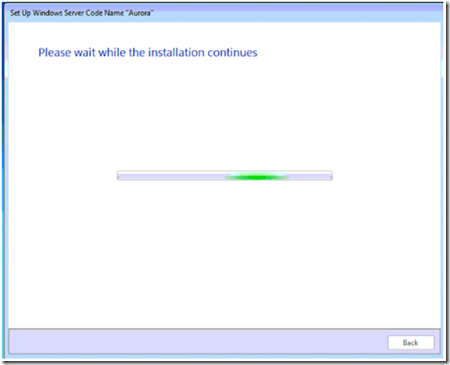 Now I can say, at this stage, whether there are any actual issues with SQL Server 2008 R2 running on SBS 2008 because I haven’t been running it for that long but I am yet to see any. 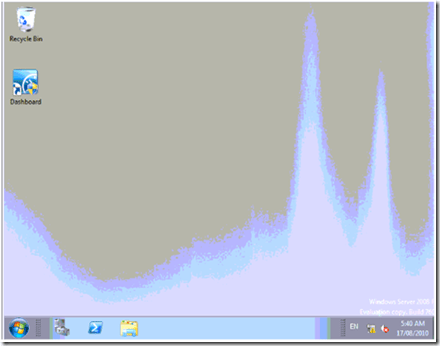 I’ve just upload another segment from a recent full SharePoint Foundation 2010 migration video that I have created for subscribers of my Windows SharePoint Operations Guide. 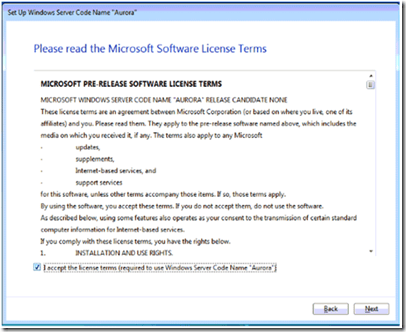 This one looks at some suggested steps that you should take prior to any migration to SharePoint Foundation 2010. <img src="http://lh5.ggpht.com/-M__qsoCEqzU/UPs6dFGFfRI/AAAAAAAAHmU/upmcNzz1gJ0/videoefb2b8e5a029%25255B4%25255D.jpg?imgmax=800" style="border-style: none" galleryimg="no" onload="var downlevelDiv = document.getElementById('034295f7-90d8-4922-80c6-3ebc110cb664'); downlevelDiv.innerHTML = "
YouTube now allows video of up to 15 minutes so this one is the longest one I have posted on YouTube. Those extra 5 minutes should allow me to get more content into these video in future. 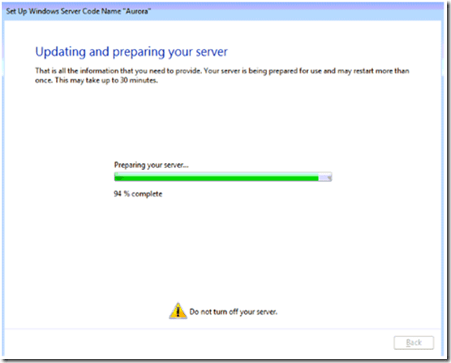 Apart from running the SharePoint Foundation 2010 pre-upgrade check the most important thing is to take a number of backups. 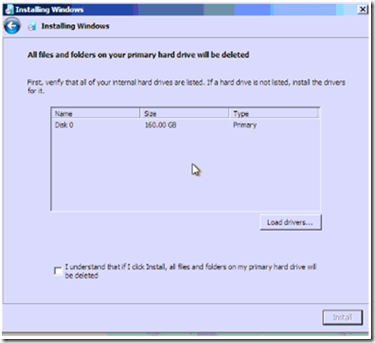 What this video does not cover is how to recover to these backups in the event of a problem. That is something that you be familiar with before you get too far down the track. 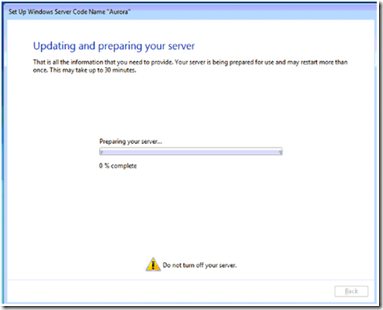 When was the last time you ran a full SharePoint disaster recovery? If you haven’t then you really should spend some time learning how to do because it isn’t a matter of if, it is a matter of when.